According to accounts of the day, a small gothic cottage met visitors as they entered the premises of the zoological gardens. The structure was approached by a gravel road that entered through an iron gate, and wound its way under old spruce trees before circling toward the homestead. 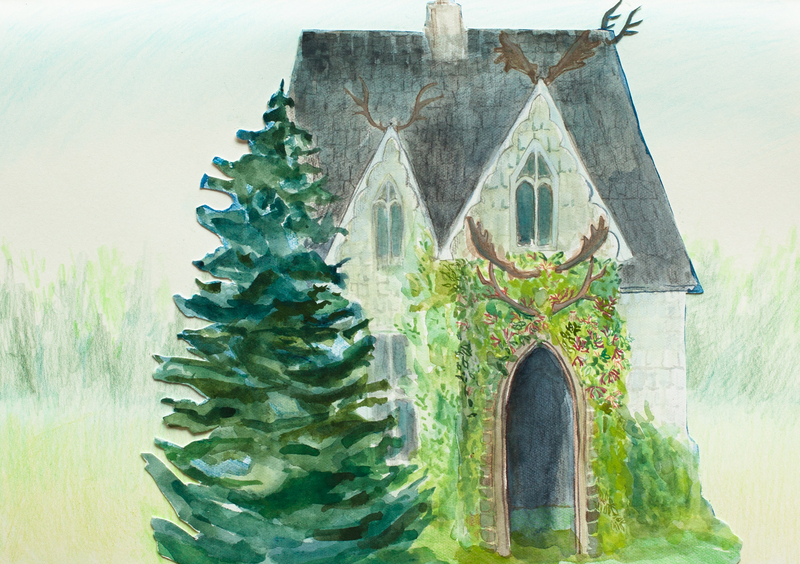 The cottage was swaddled in woodbine and honeysuckle, and adorned with antlers on every point. 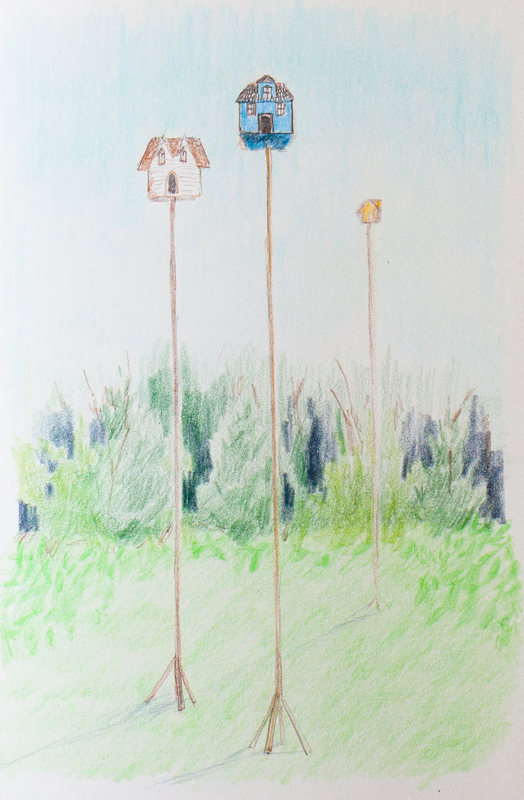 Bird houses were mounted on tall posts that towered around the cottage, and some tropical birds and poultry wandered the yard— in all probability a mere token of the numerous bird species that occupied the zoo. Walton Cottage was named after the British Naturalist Charles Waterton’s estate, Walton Hall, near Wakefield in Yorkshire (UK), where Andrew Downs was a distinguished guest in the year 1864. Waterton’s estate is considered to be the world’s first nature preserve, as the naturalist used his inherited wealth to purchase acres and acres of property for the sole purpose of conservation. His own home was at the heart of the grounds, surrounded by the forest. Andrew Downs and Charles Waterton maintained a friendship, and corresponded regularly until the British ornithologist’s death in 1865. Downs was so inspired by Waterton’s bird sanctuary that he named his own home Walton Cottage. There are two known paintings of the cottage’s north west point, and after these sketches and various written accounts, I have completed my own rendition of its exterior.